Anti-Theft for your iPhone. It deserves it, and so do you. 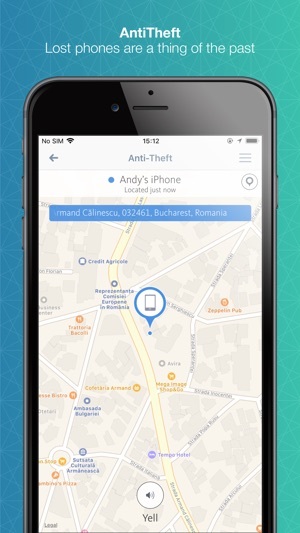 Our Anti-theft tool formerly known as the Avira antivirus app helps you locate a missing device (up to 5 connected devices, actually). Or, if it’s hiding under the couch, trigger a loud yell from Avira Connect – your online dashboard. 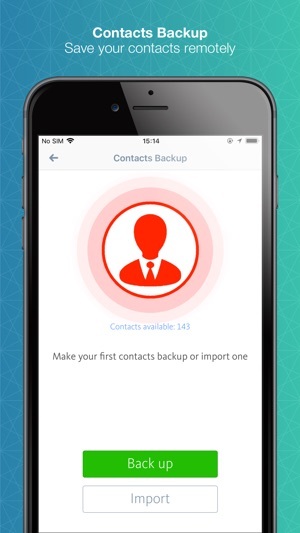 Your photos, emails, and contacts are on your phone. 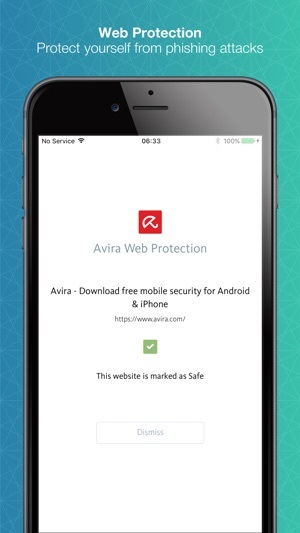 Avira Mobile Security is one of the few apps that helps you keep them safe: our integrated Web Protection feature tells you if a website is trying to steal confidential details, such as your credit card details, emails, and passwords. Has your email been leaked? Schedule the frequency (once a day/week/month), and we’ll automatically scan your email – and those of your contacts, to check whether they were leaked online in a security breach. Your app’s Activity Report gives you a quick overview of the latest security events that affect you. This includes phishing websites that were encountered, recent scans, emails in your contact list that have been leaked in a security breach… and more! Our integrated Device Analyser breaks down your phone’s memory and storage usage for you. It’s a handy tool that helps you target where you need to free up space on your phone, or determine that it’s time to get more iCloud storage space! Your iPhone’s a looker. Now your security app is, too. Our interface’s new look gives you easier access to all your features. 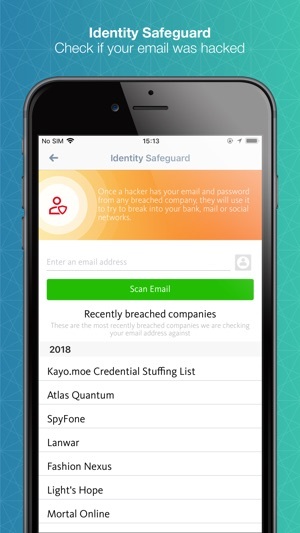 A full-featured security app that's got your back! English, German, Spanish, French, Italian, and Portuguese. - Unlimited Traffic – Avira Phantom VPN Pro gives you full-scale data transfer. - Premium Support – Includes mobile tech support provided by Avira’s team of security experts. Pricing for the premium/paid version via in-app purchase is € 1,49 per year. Payment will be charged to iTunes Account at confirmation of purchase. Subscription automatically renews unless auto-renew is turned off at least 24-hours before the end of the current period. Account will be charged for renewal within 24-hours prior to the end of the current period, and identify the cost of the renewal. Subscriptions may be managed by the user and auto-renewal may be turned off by going to the user's Account Settings after purchase. Any unused portion of a free trial period, if offered, will be forfeited when the user purchases a subscription to that publication, where applicable. We constantly improve the security, stability and speed of our products to give you the best experience in the market. We listen to your feedback to make Avira better for you. Rate us! 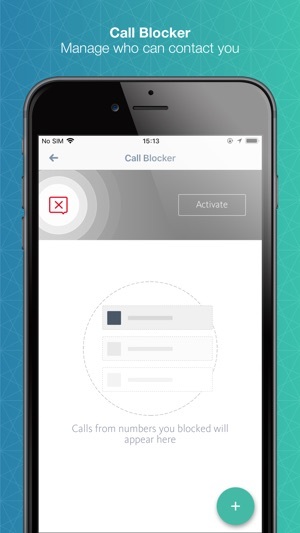 This is a great app, however there are some issues that need to be addressed! 1) the application should become more intuitive into detecting when you have completed a tasks. So far that is the only issue that I have come across, I will continue to utilize the app and if I find any more issues and or concerns, I will write another review. That is so good news for us 😍 Thank you for sharing your experience with us and pls don't forget that we're always here for you. The computer protection seems excellent, but my VPN accounts are all different numbers. Very confusing as to whether I am actually using my own account. Also, the mobile security on my iPad has my account name transposed, but on my phone it is correct. This is not reassuring since my iPad kept showing up in a country thousands of miles away from where I am. Have I been hacked again right after purchase? I’ve tried other mobile security companies and your vpn seems to be the fastest, but I want to know if I can track exactly what is coming my way. I do not know how.....suggestions would be awesome.